In this letter Miss Berry shows her gratitude for Miss Laura Allen's donation of $500.00, tells her of the the struggle to find donors during the time of economic hardship, and tells of the campus. 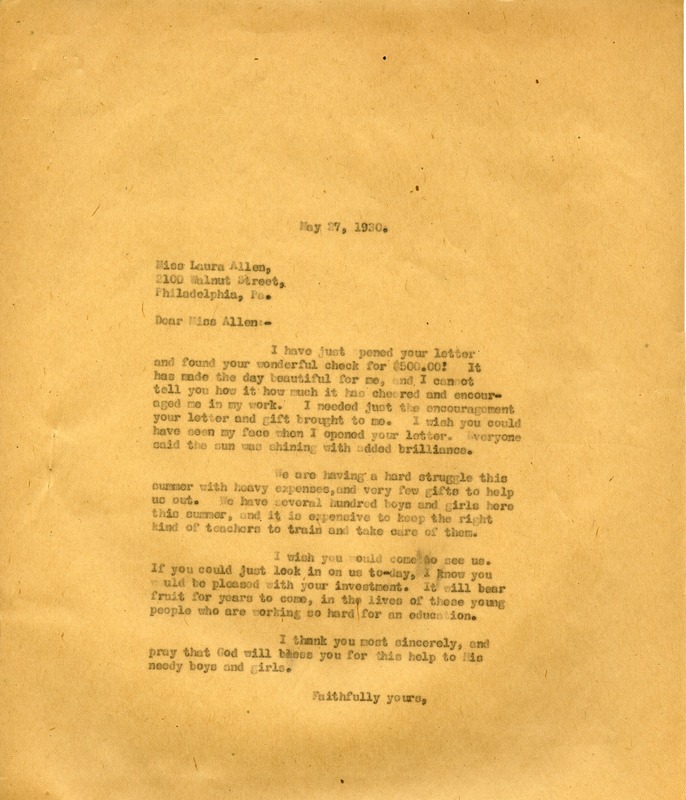 Miss Martha Berry, “A letter from Miss Berry to Miss Laura Allen.” Martha Berry Digital Archive. Eds. Schlitz, Stephanie A., Amanda Guidi, et al. Mount Berry: Berry College, 2013. accessed April 21, 2019, https://mbda.berry.edu/items/show/11641.